The Lake Erie Island area is a beautiful section of the Lake Erie basin. Fishing, sailing, and island-hopping are frequent and regular seasonal activities in the summer, while ice fishing is the top selection for wintertime. 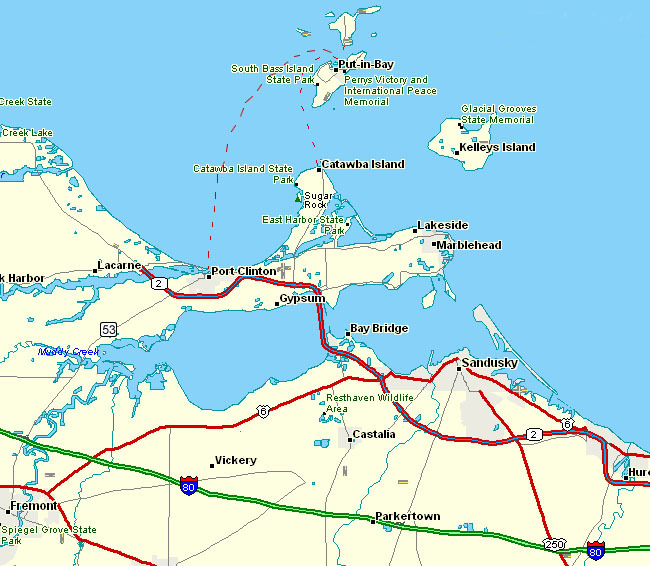 Below is a regional map of the Put-in-Bay area to help you plan your trip. The main ferry routes are marked. Alternately, you can visit our other page for Driving Directions to Put-in-Bay. Once you are on the island, you will need to know where you are going! 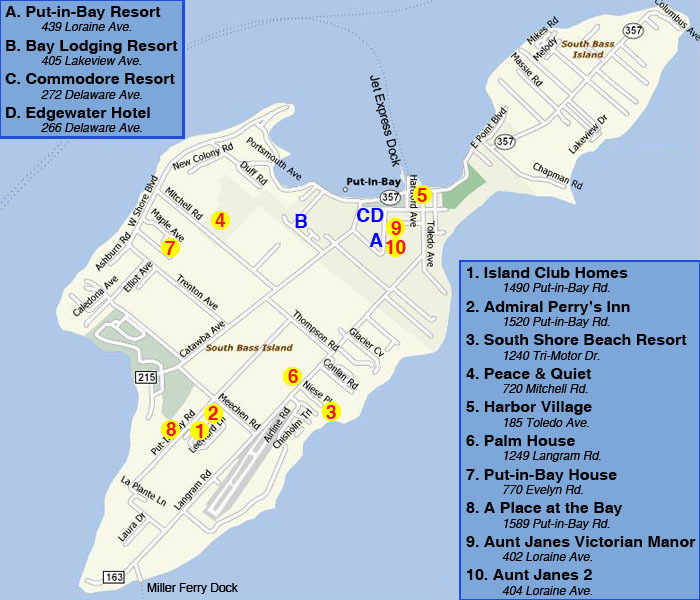 Below is a map showing the most popular Put-in-Bay lodging choices available. 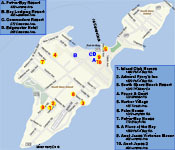 The map is broken down by Resort Hotels and Island Rental Homes. The landing spots for the island ferries are also shown. Depending on where you are going, you may wish to Rent a Golf Cart to get you to and fro. Golf Carts and Mopeds are the most popular forms of island transportation.